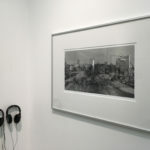 Galeria Joan Prats is presenting Hannah Collins (London, 1956) and Antoni Muntadas (Barcelona, 1942), for Paris Photo Fair. The method used by Collins in The interior and the exterior, Noah Purifoy, 2015, pays tribute to Walker Evans, through documentation of the sculptures by African-American artist Purifoy (1917-2004) and also with voices recordings. Muntadas, continues his research on the places of power with Architektur / Räume / Gesten II, 2017. 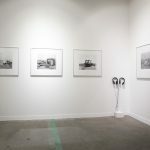 In these 10 triptychs, Muntadas assembles archival images, connecting places of power with gestures. The artist thus highlights the way in which the architectural form crystallizes gestures and decisions of power.